Foreclosures: Are They Worth Investing In & Where Can I Find Them? Purchasing foreclosures is a time-honored real estate investment strategy for a reason. When buying properties directly from homeowners, getting a below market deal is difficult. Unless the seller has some motivation to accept a low offer, such as a financial problem or other distress, he or she is unlikely to sell for much below market price. You may get a few thousand below market if you negotiate smart. In the realm of real estate investment, that’s not enough to make it a great, or even a good, deal. More than likely, you wind up with an average deal, meaning that you own it at the market price. You may have to wait until the market appreciates for an opportunity to profit. Investors know they can create profit opportunities by either buying a home that needs work (fix and flip) or by buying a foreclosure. Often, foreclosures are the perfect fix-and-flip opportunities. No one puts money into a property they are about to lose, so most foreclosures need work. As a rule, they are also sold below market price. Part of the reason for this is that buyers can assume a foreclosed property needs work. This creates a simple equation. If the price you pay for a foreclosed property is far enough below the market price to allow you enough room to fix and flip it at a profit, it’s a winner. If the cost to gain control of the property doesn’t leave enough room to make you comfortable that you can make repairs and still have enough room to make the purchase worthwhile, then move on and find another foreclosure with better potential. Many homebuyers also consider buying a foreclosure as their primary residence or as a rental property. When looking for a primary residence, buying a foreclosed house makes sense. It allows the buyer to move into a neighborhood they cannot afford at market price. The increased equity opportunities and benefits of living in a more affluent area outweigh the headaches that come with buying a foreclosed home. Since you buy the property as is, you will be investing some time and money in reconditioning and repairing the property. For a rental property, foreclosed homes are great because the repairs and reconditioning needed to make the property rentable are always less than the repairs and reconditioning needed to prepare it for sale. If the market rental rates indicate you can complete modest repairs and still rent it at a profitable figure, you may find yourself a great income producing property. Foreclosure auctions provide the most direct method of locating foreclosed properties for sale. These auctions are held by the county sheriff. You can obtain information on foreclosure auctions through the sheriff’s department of the county in which you are interested in purchasing. Auctions provide the advantage of very low prices in certain cases. The sheriff auctions the properties for the current mortgage amount. This may be quite low in relation to the property’s value. If you know the market, you can get the best deals this way. Competition is also limited because auctions only take cash. Properties bought at auction have some drawbacks, however. Properties are sold as is, and upset former homeowners may have either damaged the property or removed items, such as kitchen appliances or HVAC units. Buyers must also research the title prior to making a purchase at auction. Otherwise, they can be surprised to find themselves responsible for back taxes, liens, or second mortgages. 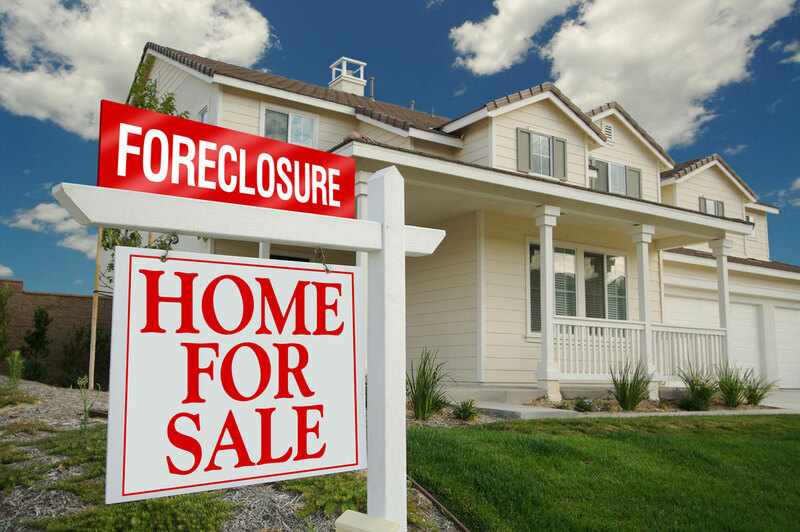 Foreclosure listings are provided for REO homes. REO homes are owned by the foreclosing bank. Banks often purchase the homes they are foreclosing at the auction when they feel they can recover a better price by marketing the property themselves. Many banks provide searchable REO listings online. Many real estate agents also specialize in REOs. By finding an REO specialist in your area, you can gain access to a wide variety of REOs in the region. Unlike auctioned properties, REO titles are always clear. MLS listings contain REOs. They also foreclosure listings for properties still in the foreclosure process. The owners of these homes may be willing to sell at a low price to get out of the property. Financing foreclosure purchases can be tricky. Banks often take too long to complete the process for REOs or homes in pre-foreclosure status. They are not even an option for auctions. Hard money loans provide a smooth, efficient method of closing on a foreclosure quickly. These loans are provided through lending companies who base approvals on the value of the property rather than the buyer’s credit history and income. Because of this, hard money loans close in days, not months. When you need to close on a hot real estate deal before the competition, you can’t afford to wait for a bank approval. You need a hard money lender who gets you the financing before your perfect investment opportunity is gone.